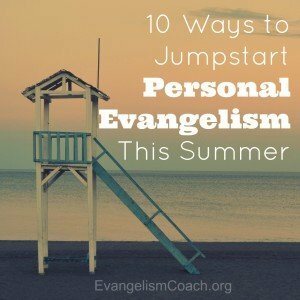 I’ve searched my archives and came up with 10 of the best action posts for personal evangelism to help you kickstart your passion to reach people for Christ. 1. Make a prayer list of friends. Make a prayer list of friends whom you’d like to see following Jesus. I’ve seen lots of people mentally agree to the the idea, but actually fail in follow through. Just do it. If you need practical help, Read how to How to Make a Prayer List of Friends. 2. Commit to praying daily for each friend. Once you make a prayer list of friends, then start praying daily for each of them. Here is some guidance on what to pray for: Ten Prayer Points For your Friends. 3. Find ways to spend time with your friends. You don’t have to set an evangelism faith sharing appointment with your friends. In fact, nearly every faith sharing conversation I have with my friends occur at random moments while we are doing life together. We might be sailing and the wind dies down. We might be walking together for exercise. Maybe we are at a cookout on our back porch. Maybe we are playing golf together. Maybe we have hiked a mountain and are staring at the valley in front of us. Maybe we simply hang out together for a family game night. I work along side an organization that seeks to reach teenagers for Christ. I took a peek at their schedule, and they have blocked out 3 out of every 4 Saturdays to spend time at the public soccer fields getting to know kids from their community. There are other events along the way in their schedule where they will serve the community, but the bulk of their time is networking. 4. Talk about what God is doing in your life. As I spend time with my friends, I talk about my faith as a normal topic of life conversation. For the last 3 months, I’ve started walking with a companion. We spend nearly 5 hours together each week, walking and talking. Our conversations have covered topics like personal dreams, goals for the future, family stories, weekend activities, and other small talk that covers the natural rhythms of life. We’ve laughed, shared, and poked a little fun. What is our small group topic about? How do I disciple my children in the faith? My faith is part of who I am, what I do, and it is normal for me to talk about family devotions, bible reading, and church activities as part of conversation. I’ve not pressed my friend to talk about his faith, though he seems comfortable comparing is faith-less life with mine. I share how our family does devotions, talk about the Bible with our kids, and testimonies to how God answers our prayers. Our faith is not hidden as private matter behind close doors. It’s part of who we are. Our faith is visible and open for examination. Sharing faith is not revealing a secret about who we really are. 5. Listen for spiritual thirst. Read this tutorial on spiritual thirst. 6. Ask great questions to learn about their spiritual journey. Questions help people come up with their own solutions for their own unique circumstances. If you learn to use questions, you can help people discover their spiritual thirst and grow towards Christ. Determine next steps in the journey to faith towards Jesus. Read more about conversational questions. 7. Suggest a way to help them grow spiritually in next 20 days. an invitation to discuss the bible with you. an invitation to read a particular book. an invitation to a church seminar on a topic. 8. Listen for a time to share your personal journey to faith. You know that I am a follower of Jesus. Can I tell you how I came to be a follower of Christ? How did you get religious? How did you find this faith you are so certain of? How did you decide to become religious? You don’t seem obnoxious, how did you get religion? If you need help putting your faith journey story together, check out this tool. 9. Listen for a time to share a gospel presentation. 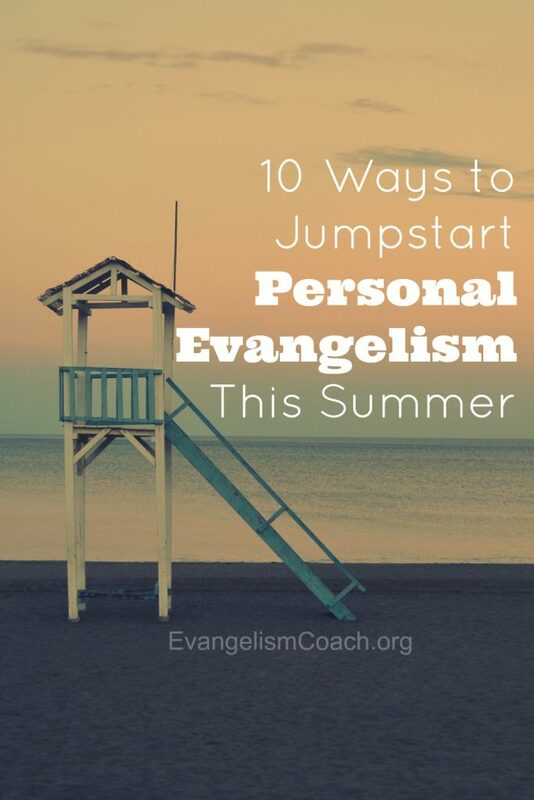 Ultimately, the point of evangelism is to share the gospel. Look and listen for a time to share the gospel in an outline form. Read How to Practice a Gospel Presentation to learn more about this vital tool. 10. Review and learn from your conversations. I have done a mental review of nearly every evangelistic conversation that I have. I write about it in my journal and reflect upon what I learn from it. It’s a good practice to follow, and will help you in the future. It has been a practice that has been deeply beneficial in my life, particularly in removing fear from my practice of personal evangelism. 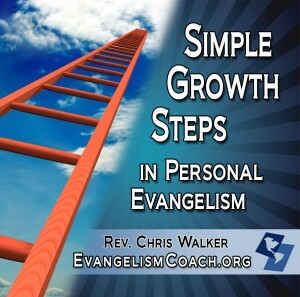 Read these 10 questions to help you evaluate your evangelistic conversations. Excellent article, Chris! I appreciate how you remind us that evangelism is an everyday conversation. It does not need to become awkward and uncomfortable! Thanks for these practical steps! Continue to challenge & equip the church for the great task before her, to reach the lost! Thanks for finding that quote for me. And thanks to many of you for liking, sharing, tweeting, and reblogging this post.